St Christopher’s Inns backpacker hostels, led by CEO Keith Knowles came out as well deserved winners at the British Youth Travel Awards on the 29th November 2018. The glamorous event at Planet Hollywood in London’s Piccadilly Circus saw attendance from leading companies within the youth travel sector. It was a great evening for St Christopher’s Inns who were up for two awards including Best Innovation and Best Marketing. 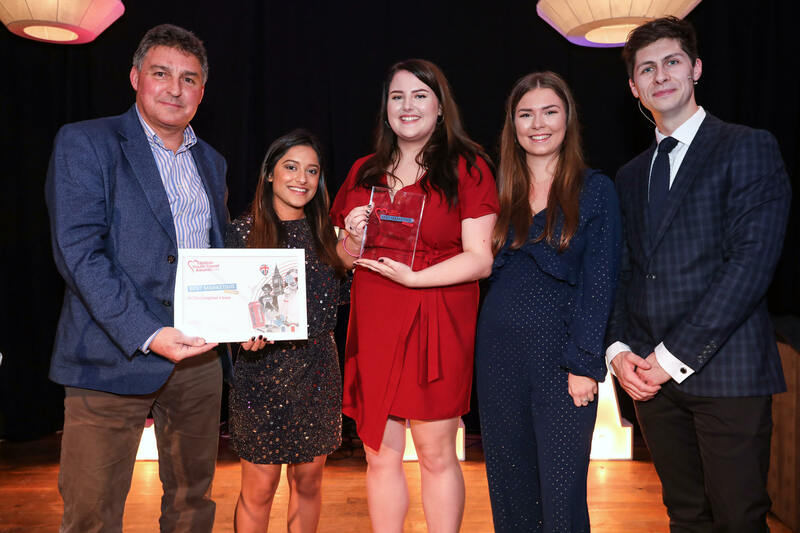 The backpacker hostel operator won the Best Marketing award for their ‘Future of Travel: The UK’s First Capsule Hostel Campaign’ where the team gained fantastic results for their site in London Bridge. St Christopher’s also took home second place for Best Innovation. The marketing campaign was led by Sophie Herbert and it was implemented by Shereen Sagoo, Darcy King and Ellie Roberts. A young team who worked incredibly hard on this campaign. The marketing campaign for the Capsule Hostel resulted in a significant increase in bookings, net bed rate and brand recognition on an international scale through mass press coverage. The success of the capsules and the marketing strategy that came with it was the biggest return on investment St Christopher’s Inns has ever received from a campaign. Winning the Best Marketing Award is a proud achievement for St Christopher’s Inns and a great way to finish 2018 on a high.